Unless they have very deep pockets, every small business needs some great PR now and then. In this article, public relations expert Lucy Ryland shares some of her secrets. What exactly is Public Relations? What exactly is Public Relations (PR) and how can it benefit small businesses? The so-called ‘dark art’ of PR conjures up images of the excesses of the 80’s, made famous by everyone’s favourite champagne-quaffing PR guru Edina of Absolutely Fabulous fame. 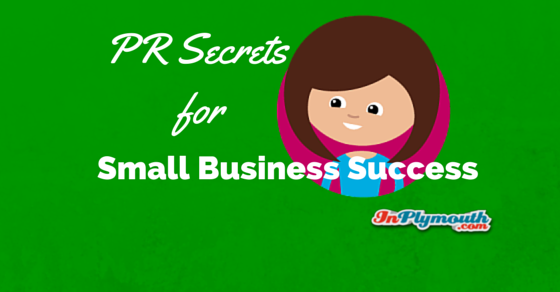 It’s not surprising, then, that PR is often misunderstood by small business owners. But, approached in the right way, PR can be a cost-effective and valuable tool for businesses of all sizes. Businesses can choose whether to manage their PR rather than leaving it to chance. Effective PR makes all the difference – enhancing reputation, managing negative stories or events, raising awareness, attracting new customers and promoting new products or services. 1. Hello, how are you? It sounds simple, but PR helps you communicate with your ‘publics’ -customers, potential customers, stakeholders, the general public and the media – about who you are and what you do. Of course, you will need to have first identified who your audiences are, where they are and which media (social and traditional) they consume. Once you know which newspapers, magazines, websites and blogs your customers are reading, you can target your PR efforts in the right area. For example, a B2B business may choose to focus on trade publications and business supplements, while a consumer business may target a specific magazine or social media platform. Targeting the right journalist or blogger with material that is of direct interest to them will generate the best results. The beauty of PR is that it can result in your business or product being written about by a third party, so it is more credible than traditional advertising. Understandably, customers are more likely to trust a third party (such as a magazine column mentioning your product) than they are you when you promote yourself. 3. Here I am Google! These days, most consumers use search engines to carry out online research into businesses and their products. PR can really help small businesses to make the most of this process. Articles, videos and news releases posted online provide valuable links to your website that increase your search engine rankings. PR can really help the SEO of small businesses in #Plymouth. Of course, things don’t always go to plan. Most businesses will face some sort of crisis at one time or another. PR includes reputation management – how to deal positively with a crisis and handle any negative PR or coverage. At such times it is so important a business has a voice rather than the dreaded ‘no comment’ which, in most cases, gives completely the wrong impression. 5. Half of my ad budget is wasted, but which half? PR is one of the most cost-effective methods for small businesses to raise awareness. For best results, PR should be integrated with your marketing plan. In fact, marketing activities themselves, such as a new website or advertising campaign, can be the source of effective PR stories, as long as they are handled in the right way. This article was a guest post written by PR expert, Lucy Ryland. Lucy set up her PR and marketing consultancy in 2005 following a career in retail and education marketing with Marks and Spencer, City College Plymouth, and the Learning and Skills Council. Her qualifications – a marketing degree and the Chartered Institute of Marketing (CIM) post-graduate diploma – mean she is well qualified to advise businesses across all areas of the marketing mix. Recent projects have involved the diverse fields of dentistry, law, sport, technology, education, training, accountancy and property. You can get in touch with Lucy via her website or on Twitter: @lucyrylandpr.